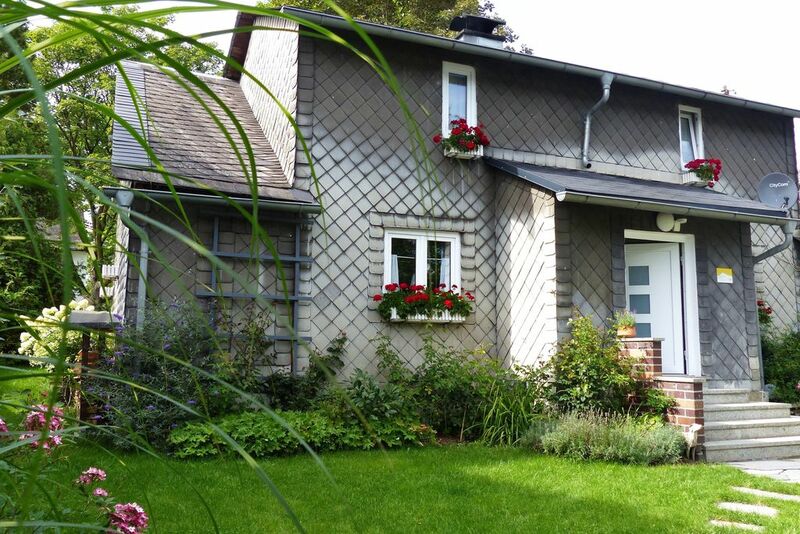 cozy cottage with garden in the Fichtelgebirge. Country house with herb and snack garden in a small village. Hey, I'm Aunt Liesl Häusl and invite them to spend in my cozy, newly furnished rooms a break in the countryside. I offer 80 square meters of living space on two floors - with living room, game room and reading room, country kitchen, two bedrooms, on request with a cot, a bathroom with shower and toilet, The living room can be comfortably heated with a wood stove. Outside the door, in the garden are beautiful garden furniture, inviting you to rest in the summer. The children can have fun on the playground. Heating costs are calculated only for the period from October to April. Das Haus war bestens ausgestattet. Die Vermieterin hat uns hervorragend über alles informiert. Das Häuschen ist eine richtige Oase zum Wohlfühlen.